Late August 2005 Sheep-Isle visited the Swedish Lapland Region. The polar circle comes in just under Lofoten (Norway), passes the northernmost regions of Sweden and Finland only to disappear into the enormous arctic Sibirian tundra. Sheep are rare in this cold and desolate territory, where the sun in wintertime never shows up for a month or more. Nevertheless the southern part of Lapland is rich in natural recourses such as waste forestland and minerals. 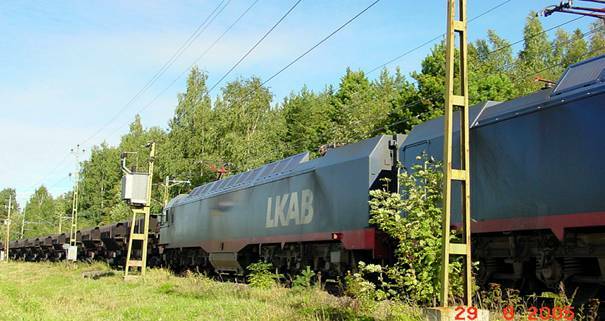 Known around the world is LKAB, the state-owned company mining in Kiruna and transporting the ore to Narvik (Norway) and to Luleå by rail for further refining into high quality iron. In the short artic summer farmers grow hay of high quality – necessary for the sheep to endure the long cold winter. Up here, the Gute Sheep, descending from the Nordic Short Tailed Bronze Age sheep, really needs its double wool. 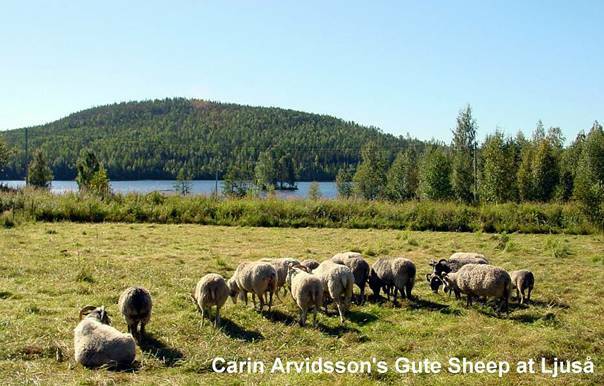 At Carin Arvidssons farm a little flock of Gute was grazing on a mix area of meadow scrub and birch trees. Night frost had just descended and the grass was not of high quality. But Gute Sheep is eminent browsing scrub and smaller trees. The leader sheep had a bell around her neck, telling Carin where to find the flock, and more important – to keep curious bears suspicious. Even though bears are friendly animals, they are a growing problem to farmers. Whether the bell will save the flock is unknown, but anyway – bears doesn’t like human activities! Another problem is the lack of older Gute rams in the Lappland Region. 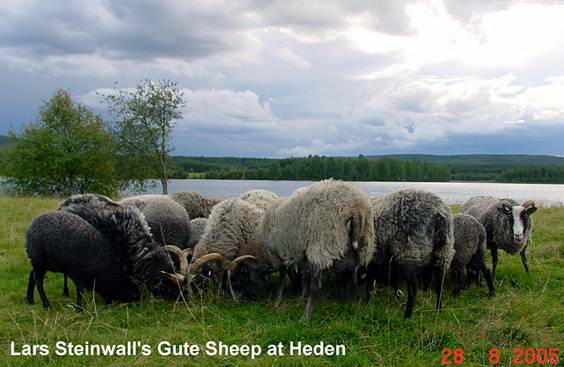 The Gute Sheep is under protection of NGH (The Nordic Gene Bank, Animals). A well-planed circulation of rams among farmers in the region is necessary to keep inbreeding at a low level. In order to deal with this problem Lars Steinwall, another Gute Sheep owner in Lapland, bought a two years old ram from Lilla Karlsö (link) some 700 miles in the south of Sweden. This ram came up two years ago, but unfortunately died after one year in action. Lars is a veterinarian, and while enjoying a nice cup of coffee together with his wife Sanna on the farm, we discussed subjects like “EU-bureaucratic-nonsens” under the polar circle, animal welfare concerning sheep – or the lack of it! !, and the rams and the different growing of their horns – a beloved theme, whenever Gute Sheep breeders meet!